San Diego can either decide to help East Village on its current path of transforming into an innovative, economic district or it can bend to the will of billionaires. Could this little-known pollutant finally change our transportation priorities? People know that air pollution is bad for their health, that auto exhaust emissions contribute to air pollution, and that certain cities suffer worse air pollution than others. Some people pay attention to smog reports and even avoid strenuous activities on smoggy days. What most people don’t know is that there is a certain type of auto emission pollutant that discriminates in a most predictable but unfair way. It’s also a pretty safe assumption that people aren’t fully aware of the severity of the health impacts from this pollutant. [Read more…] about Could this little-known pollutant finally change our transportation priorities? 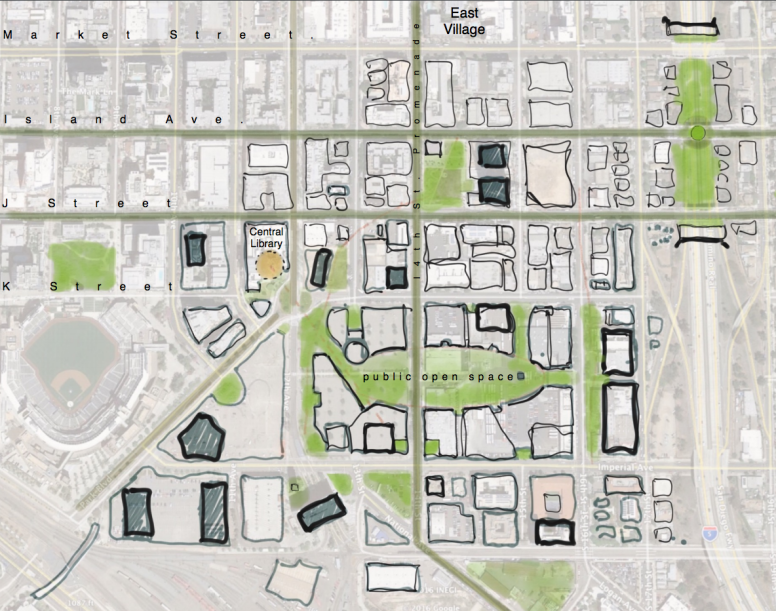 The future of downtown’s last frontier, East Village, lies not in a football stadium or a convention center annex but a large jobs complex aimed at big high-tech companies.